Despite living in Makati for more than two years in the mid 2000’s, I never really got to explore the city much. Ironically, it’s when I went back to living in Quezon City that I started discovering and frequenting Makati’s various districts. 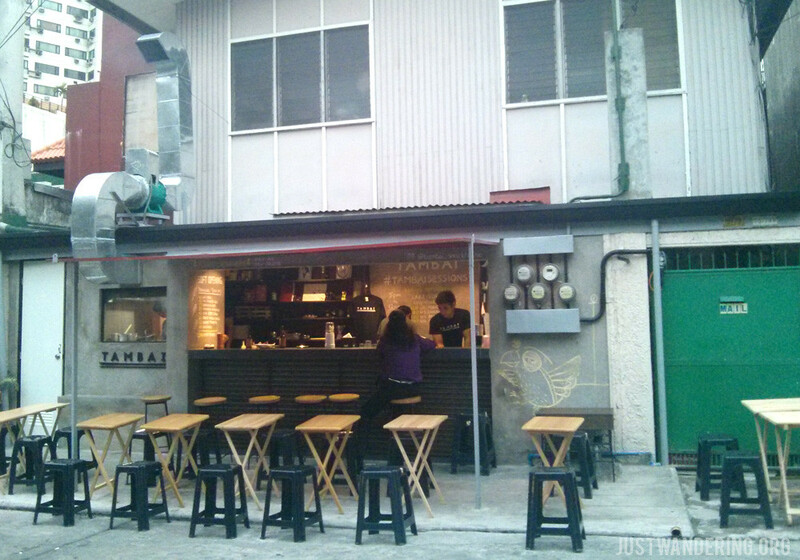 I was already familiar with Salcedo Village, Legaspi Village, and Little Tokyo, but it took an invite from Lokal Hostel to get me to have a wander around the Makati Avenue area. 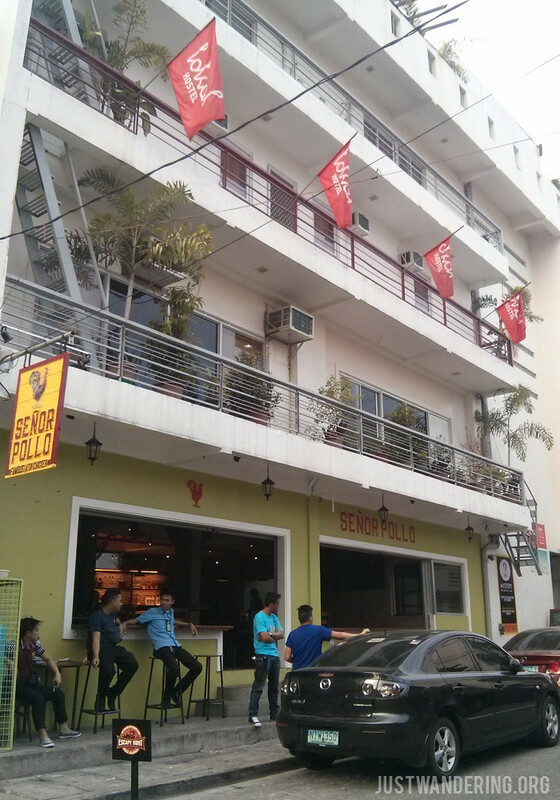 Lokal Hostel is located right smack in the middle of P. Burgos, Makati’s red light district (and they have the a very cheap ensuite private room at Php 1,400 per night considering its very central location). Normally, I would have balked at the prospect of exploring the red light district, but a quick walk around with Don of Lokal Hostel proved that there’s plenty of gems hidden in this part of Makati. Last June, I took some friends around the area for a food tour, and it was an amazing variety of cuisine and flavor profiles. Better still, it’s a big enough area that there’s ample walk between two food stops. If you’re coming from different places, and are driving, the best place to meet and park is A. Venue Mall. They have both open air parking and underground parking. While waiting, you can try the Petit Puffs of Happy Cream Puff, my favorite cream puff place. They’re light, fluffy, and not overly sweet. From there, walk to Tambai along Felipe Street. Tambai is really tiny, and it gets really crowded, so it’s best to start here. They open at 5pm, and it’s good to be there as it opened, when the kitchen is not too busy yet. Recommended items: Beef rib finger, soft shell crab, chicken skin, grilled zucchini, grilled garlic, isaw, Brew Kettle. El Chupacabra is quite popular, but for my taco fix, I prefer to walk over to Tacos Chingones right at the edge of Rockwell. This is an outdoor, sidewalk eatery with an actual taco cart, so cross your fingers that the weather cooperates with you. All the tacos I’ve tried are good, so go with whatever strikes your fancy. There are many Korean barbecue grills in Quezon City, but my favorite is Joe’s Snack Grill, found at the corner of Cayco and Don Pedro. In all the times I’ve eaten there, it’s always 80% Korean diners, which I take as a good sign for the quality of their food. They do impose a minimum order though (3 orders for a table of 4 diners), so make sure you’re ready to eat. While I was designing our food tour, I came across Empingao, a newly opened Latin American themed restaurant. After studying their menu, reading reviews, and looking at the places included in our tour, I decided we have to try their Elena Ruz: a very rich sandwich with turkey ham, strawberry jam, and cream cheese. As we were winding down, we headed over to Crepe Amelie, which is located at A. Venue. They have both savory and sweet crepes, as well as a variety of mille-feuille. Since I’m crazy for crepe cake, I ordered four (the strawberry crepe cake is the best and the cutest). Though they were all good, I should’ve ordered just 2 crepe cakes and 2 dessert crepes. All the more reason to go back, I suppose. Our final stop is Beni’s Falafel. While this seemed odd (especially right after having dessert), I put Beni’s last because they’re open 24/7. So even if you end up going elsewhere and staying until after 1am, Beni’s would still be open. I’m not the biggest fan of falafel, but their hummus and shakshuka is the best. Interested in doing your own Makati food tour? You can view my Google Map (and export it so you can create your own map with it) or download my Makati Food Tour	(658 downloads) with the places I’ve considered, as well as individual menu items. Tweak as needed. For this tour, we contributed Php 1,000 each (we’re a party of 8). This covered all the food (drinks are paid individually), and parking fee for two cars. It’s rather pricey, but for 7 food stops (including Happy Cream Puff), it’s not too bad, right? This tour is best done on a Saturday, starting at 5pm if you want to avoid the crowds. Depends on how fast you eat and walk, it can be done in 3 hours. Huge thanks to Lokal Hostel for showing me around the area (waaay back in 2015! ), and giving me the confidence to explore Makati poblacion! Wow. It is so nice to know there are different cuisines offered around the area. It will definitely please everyone.